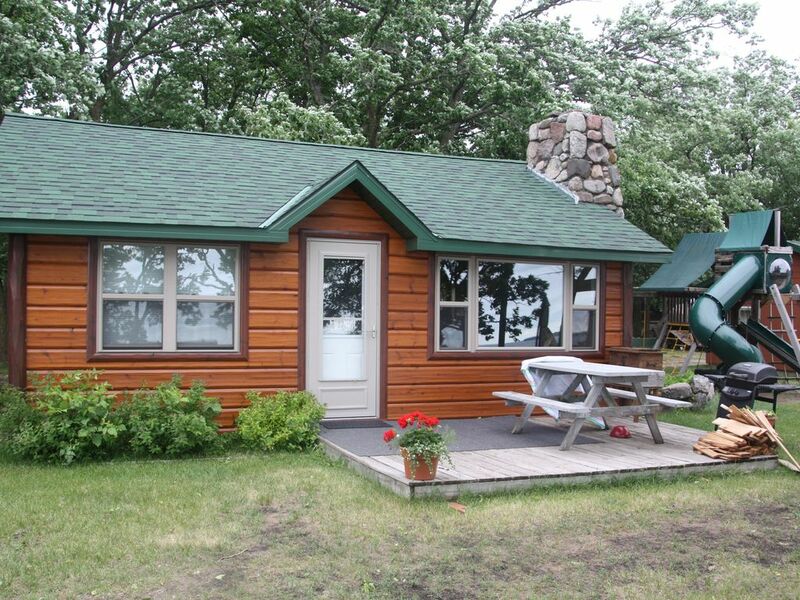 2-Bedroom Cabin with historic Stone Fireplace. Wonderful knotty pine interior with full kitchen. Plenty of amenities inside and out. On the Shores of Otter Tail Lake (14,000 acres) Great Beach, Great Fishing. Full Marina including Pontoons, Fish/Ski Boats and jet-ski rented by Hour, Day or week. Our daughter, son-in-law and two grandchildren enjoyed the beach right out the front door, the many lake toys available and the coziness of the cabin! This place was everything we were hoping for to enjoy family! We are so glad you enjoyed your stay. We believe we offer a wonderful family retreat for all ages. It is so nice to see families like yours get out and enjoy our beach and all its toys. Great way to spend the summer!